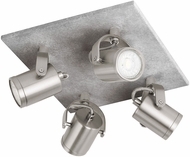 If you'd like to install sophisticated track lighting in your home but feel overwhelmed by the process, we offer a selection of high-quality affordable track lighting kits. 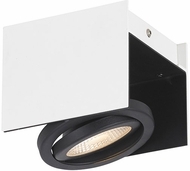 These well-designed contemporary track lights include the fixture and the bulbs, making it easy to realize your design vision. 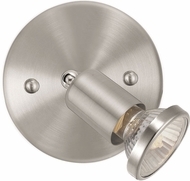 You can choose from different configurations and finishes, such as rubbed oil bronze LED 2-light track lighting or brushed nickel track lighting kits. 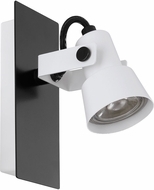 There are low-voltage halogen track lights and energy efficient LED track lights. 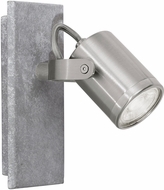 The style you choose will depend upon your room décor and where you'll be using these track lights. Track lighting is typically found illuminating works of art, but it can also be used above counters, kitchen islands and dining room tables, and for ambient light or more decorative accent lighting in a living room. 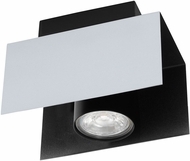 You can select from classic roundback track heads available in black, rust or white finish, or lower profile satin nickel finish LED track lighting with frosted acrylic diffusers. 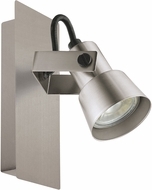 For a unique appearance, try the chrome and matte nickel halogen track lights. They'll add a modern artistic touch to your interior design.